They’re the mood rings of the animal kingdom. Camouflage is so out. 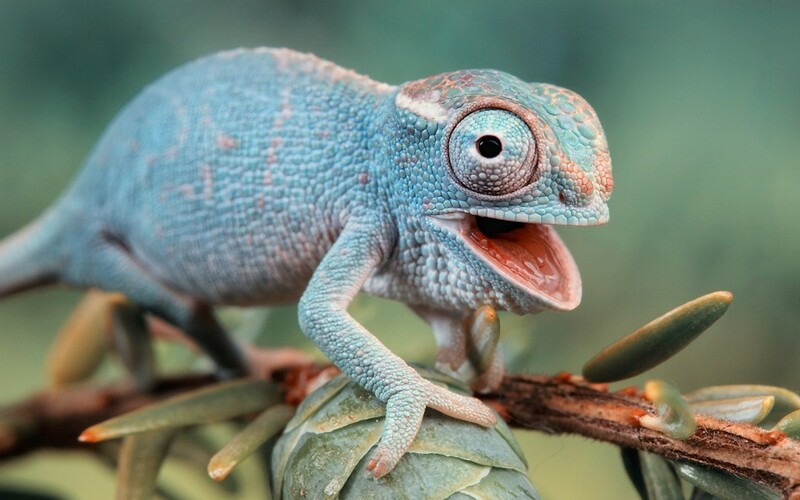 Researchers believe chameleons change the color of their skin not to blend into their surroundings. Rather the ability evolved for the reptiles to communicate with each other.